Welcome to June! 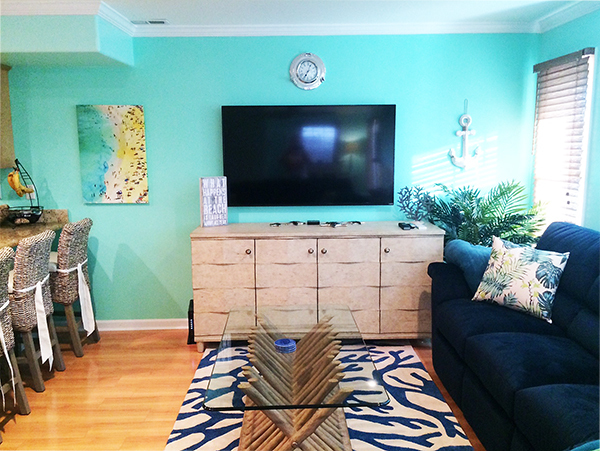 This beach-fresh family condo is just in time for summer. 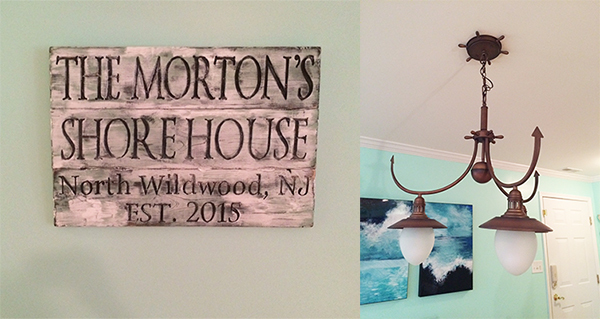 It’s the vacation home of my college friend and amazing mom, Amanda Morton. We attended Davidson College in North Carolina together (college home of NBA’s 2015 MVP, Stephen Curry! Woohoo!) along with both of our wonderful husbands. 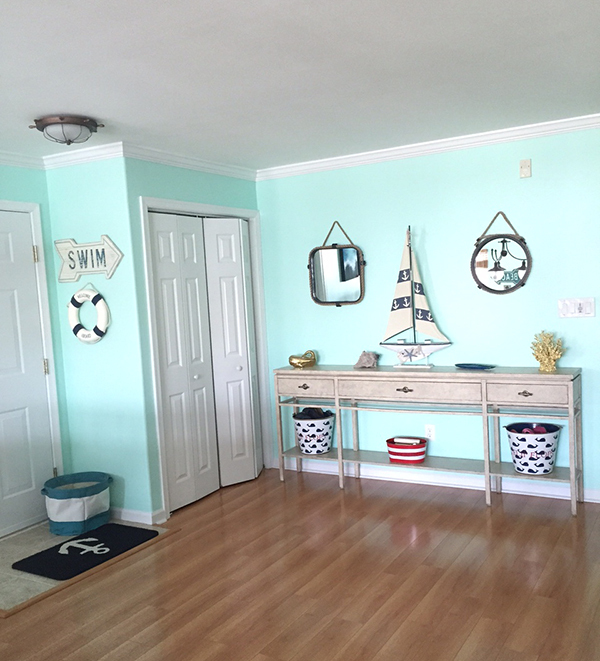 Amanda’s family beach home is located in North Wildwood, NJ on the Jersey Shore. 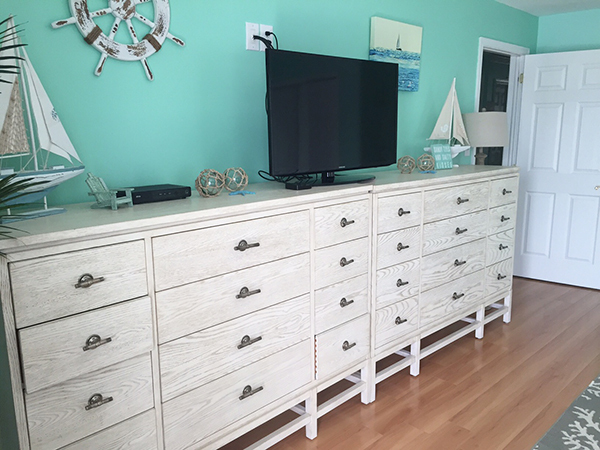 North Wildwood is a family friendly beach town where Amanda and her family have vacationed for years and just recently bought their vacation home! 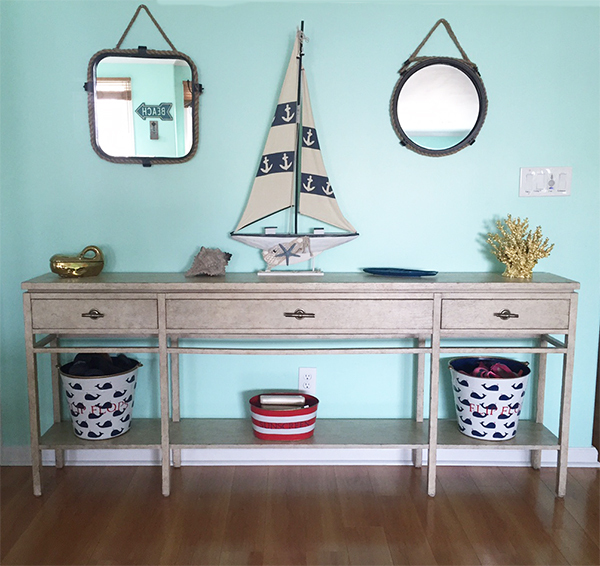 She’s just finished decorating and is now sharing her nautical getaway with Interiors by Jacquin! 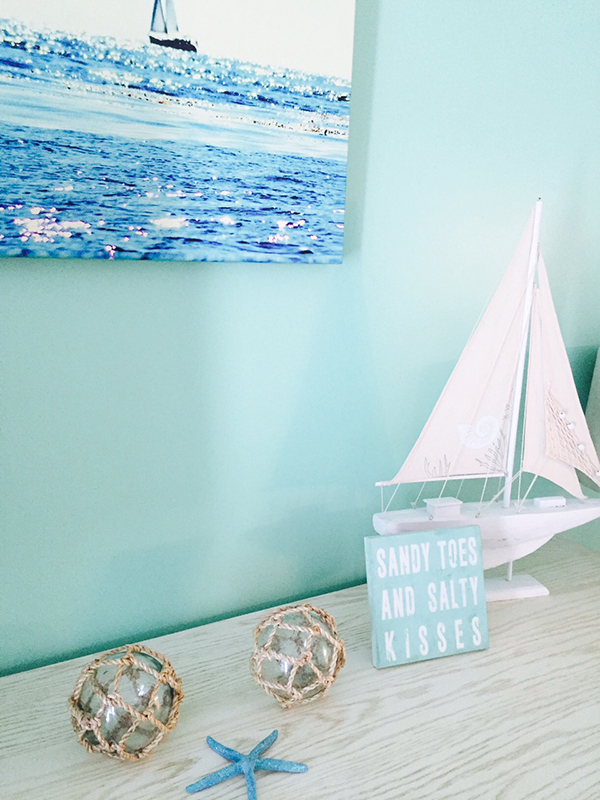 If you’re like me, you’ll want to get to the beach immediately after this home tour! 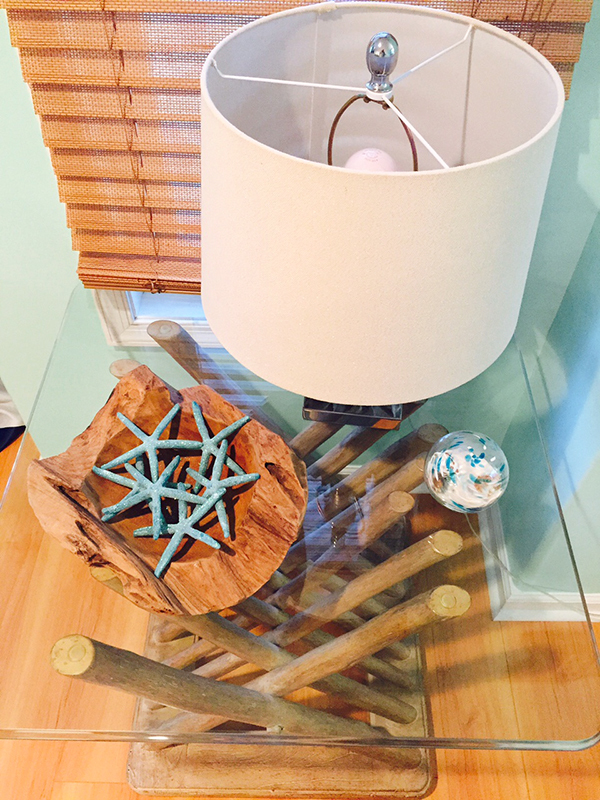 I tried to combine coastal and nautical decor styles and textures to create a relaxing beachy feel. 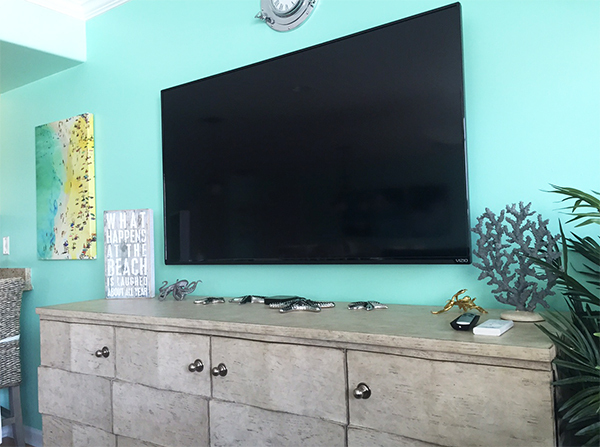 I drew a lot of my inspiration from the beach using sea foam green walls with pops of navy and driftwood neutrals to create a laid back, casual vacation vibe throughout the home. 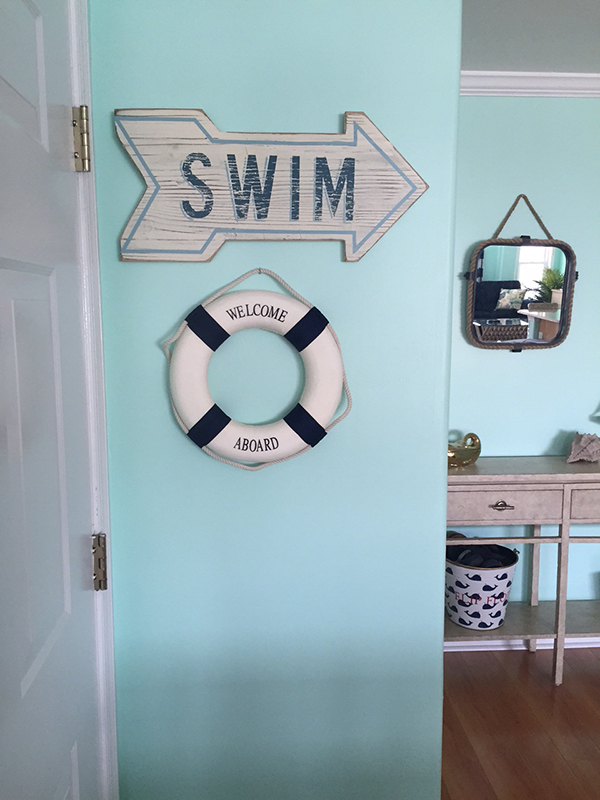 Mixing in a few authentic nautical pieces and accessories, wall art, jute wrapped sea glass balls, bronze ship wheel themed lighting, porthole clocks, anchors, coral bedding and various other elements give our getaway a welcoming and timeless sea-inspired look. 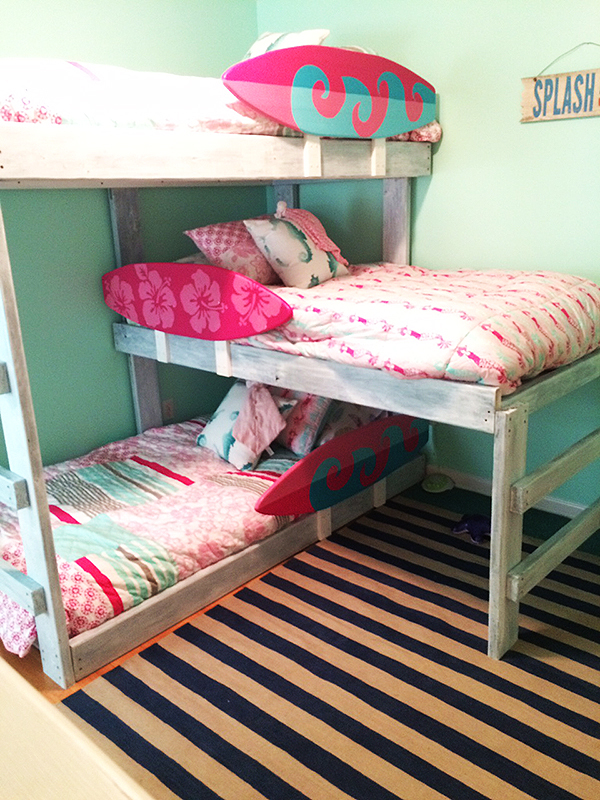 The kid’s custom triple bunk bed is one of my favorite furniture pieces in our home. 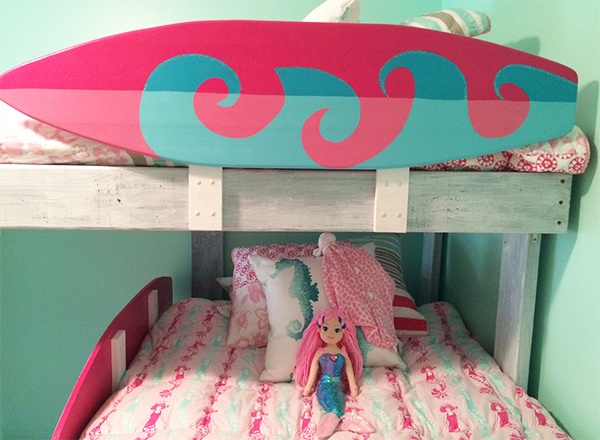 (see below) The bed is surf-inspired, complete with mini surfboards for safety rails and a hand-painted, weathered frame. 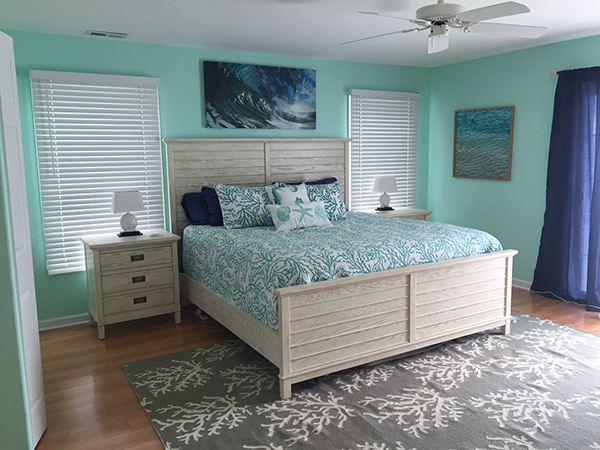 Mermaids, bright beach themed accents, and hand-crafted quilts with Hawaiian hibiscus flowers and surfboards in shades of pink and blue create a bright and summery escape for the kids to play and relax. 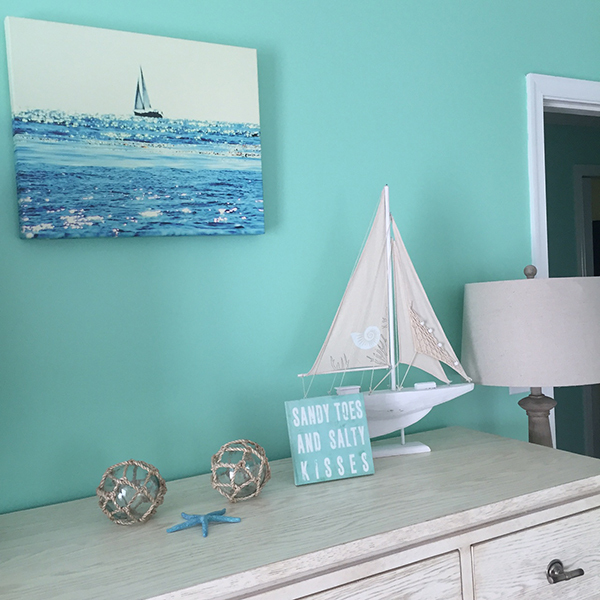 Eventually, we will add family pictures of our beach adventures to a gallery wall in the main hallway for a welcoming and cozy touch that celebrates the time we spend together in our home. 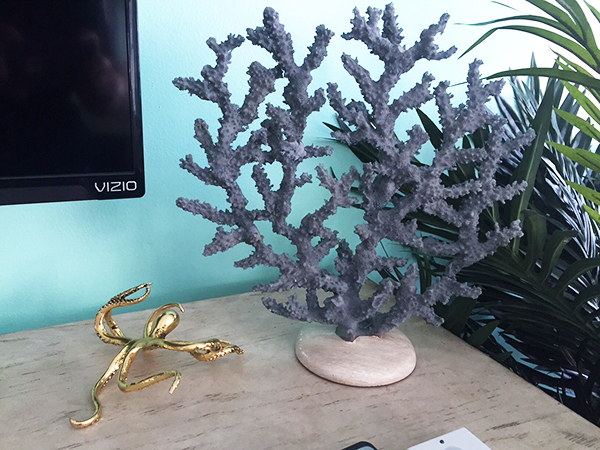 We look forward to spending many summers in the sun together, playing on the beach and relaxing as a family in our coastal condo! 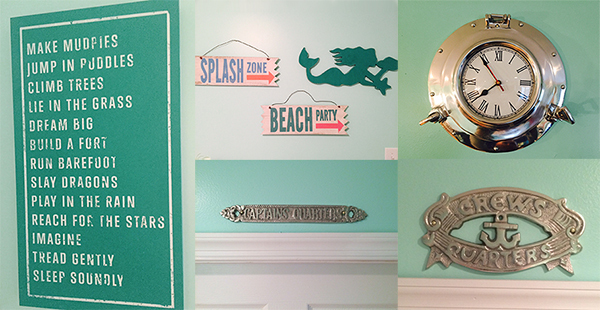 Thank you to Amanda for giving us a peak inside of her beach home! 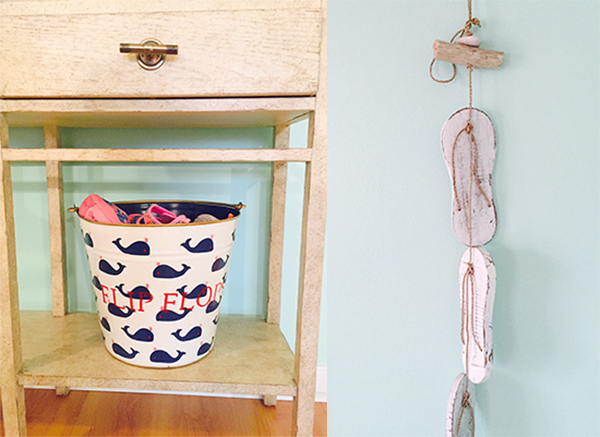 We love seeing the interior designs of readers! 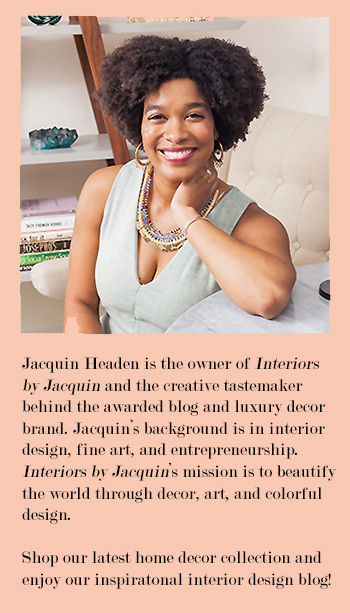 If you’re interested in having your home featured on Interiors by Jacquin, feel free to email in a home tour submission or any inquiries. Have a great week!